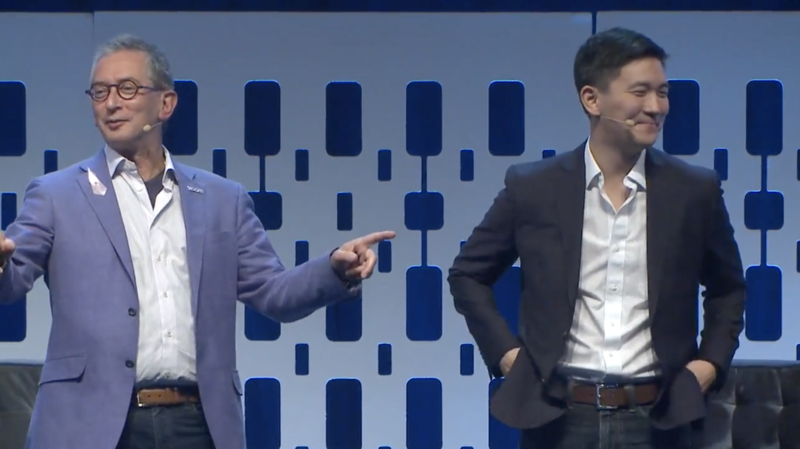 Check out the recording of the Zoomtopia 2018: Joe Park | Chief Digital Architect from Walmart and Harry Moseley | CIO of Zoom to hear their vision of the future of work and reimagining retail. Harry discusses how major aspects of the future of work, such as workforce demographics, geographical distribution, the power of knowledge, speed, and artificial intelligence are changing dramatically. In the last 40 years, the world’s population doubled and the number of people traveling by airplane increased from 310 million to 4 billion. In the middle of 2019, over 60% of the world’s population will be made up of millennials and generation Z – people that can’t remember a time without the internet and digital technology. Virtually every worker will be a knowledge worker in the future. The cadence of change is constantly increasing and is allowing us to do the thing we never thought were possible. Intelligent automation, natural language processing, machine learning, artificial intelligence, and virtual reality will allow us to perfect workflows in the future. Joe discusses reimagining retail and how to meet customer expectations in the future. Walmart is focused on adapting to customer needs with online grocery pick-up and delivery, and making day-to-day work easier for their associates via technology. Walmart’s team is making a full use of Zoom Digital Signage, featuring personalized recommendations, meeting topics, lunch menus, and more. We’ll see you next year at Zoomtopia 2019 – get on the guest list now. And between now and then, sign up for a 1-on-1 demo with a Zoom product specialist!